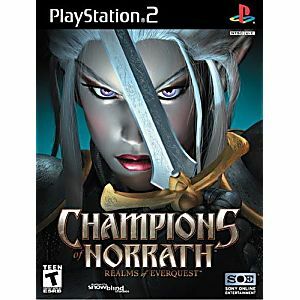 Champions of Norrath debuts on the PlayStation 2 gaming console delivering intense action-packed adventure. 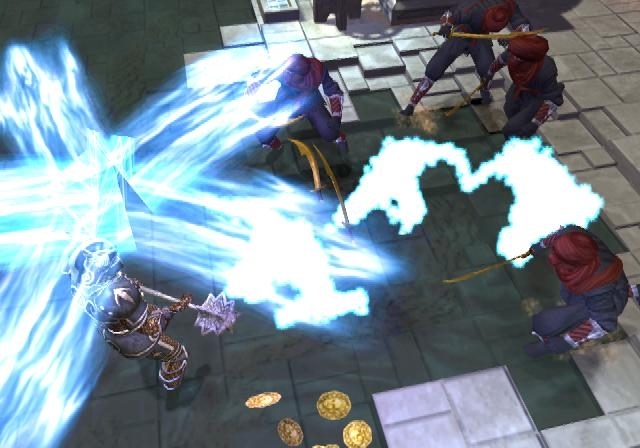 Combining elements from the Fighting, Action and Role-Playing genres, Champions of Norrath challenges players to master hand-to-hand, weapon and spell combat to conquer the Realms of EverQuest. 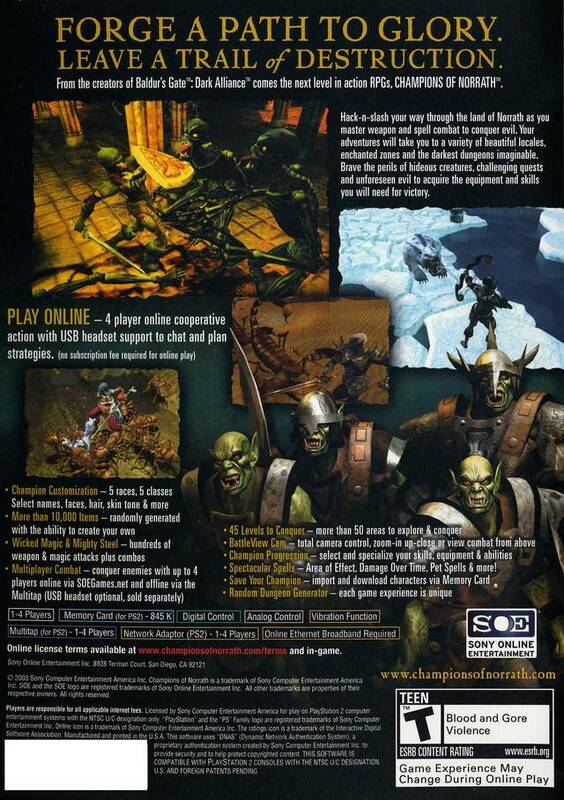 Champions of Norrath allows gamers to create their own unique hero to journey from the city of Faydwer into the wilds of Norrath to save the land from a gathering army of evil orcs and goblins. Players can adventure alone or with a band of up to three other players either over the Internet or on a single PlayStation 2 with a Multitap. 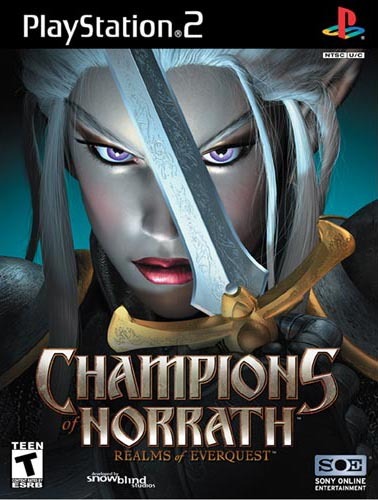 Champions of Norrath offers players more than 100 hours of gameplay per player character, unlimited battles, deadly missions and unmatched character customization in an enthralling fantasy world. One of the greatest games ever. You pick a class then a skin tone and hair cut and color and get right into playing. You can get all kinds of cool armor and weapons and when you level up you can use a skill tree to improve your character and get new skills and abilities like dual weilding or summoning a Skeleton! This game is at it's best when you have some friends to co-op play and go through the story. The best part is when you are done you can upload your characters to the sequel return to arms and keep playing !!! Used but new,awesome game plan to buy more from Lukie games. Tons of goodies in this one. loads of loot including weapons and armor. Tons of things to kill. and plenty of abilities to level up. over all its my favorite.